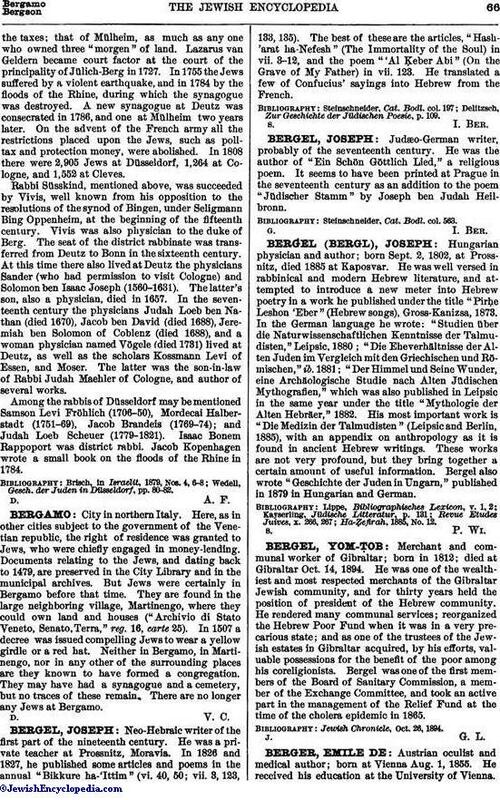 Neo-Hebraic writer of the first part of the nineteenth century. He was a private teacher at Prossnitz, Moravia. In 1826 and 1827, he published some articles and poems in the annual "Bikkure ha-'Ittim" (vi. 40, 50; vii. 3, 123, 133, 135). The best of these are the articles, "Hash-'arat ha-Nefesh" (The Immortality of the Soul) in vii. 3-12, and the poem '"Al Ḳeber Abi" (On the Grave of My Father) in vii. 123. He translated a few of Confucius' sayings into Hebrew from the French. Delitzsch, Zur Geschichte der Jüdischen Poesie, p. 109.